The initial public offering of contract electronics manufacturer Dixon Technologies Ltd crossed the three-fourth mark on the first day of the issue on Wednesday led by institutional and retail investors. The public offering of 2.37 million shares, excluding the anchor allotment, received bids for nearly 1.86 million shares at the end of day one, stock-exchange data show. The book was subscribed 78%. The qualified institutional buyers’ category was covered 1.34 times the 6.79 million shares on offer. The retail portion, in which bids cannot exceed Rs 2 lakh, was covered nearly 80% of the 1.18 million shares on offer. The portion set aside for non-institutional investors, comprising corporate bodies and wealthy individuals, was covered about 4%. SREI Infrastructure-promoted Bharat Road Network Ltd also launched its IPO on Wednesday. However, its maiden public offering was tepid, subscribed just about 22% on the first day, the data show. The public offering of 29.3 million shares received bids for merely 6.4 million shares. The retail book was covered 76% of the 2.93 million shares on offer. The institutional category was subscribed nearly 20% while the shares reserved for non-institutional investors, comprising corporate bodies and high-net-worth individuals, were covered less than 1%. The Noida-based company, which counts Motilal Oswal as its private equity backer, had on Tuesday raised Rs 179.78 crore ($28.04 million) by selling 1.01 million shares to a bunch of institutional investors at the upper end of the Rs 1,760-1,766 price band. Asia-focused equity hedge fund Steadview Capital Mauritius Ltd and the world’s oldest sovereign wealth fund, Kuwait Investment Authority, were among the institutions that participated in the anchor allotment. Dixon Technologies is seeking a valuation of as much as Rs 1,946.01 crore (around $305 million) through the IPO. The IPO comprises a fresh issue of shares worth Rs 60 crore, besides a secondary sale of 3.05 million shares by promoters and partial exit by existing shareholder Motilal Oswal Private Equity Investment Advisors. At the upper end of the price band, the IPO size is Rs 545.27 crore ($85.3 million). It will result in a 28% stake dilution on a post-issue basis. The company aims to use the money raised towards repaying borrowings worth Rs 22 crore, besides spending Rs 7.57 crore for setting up an LED TV manufacturing unit at its Tirupati facility. It will also spend Rs 8.85 crore on enhancing backward integration capabilities in the lighting products vertical, and Rs 10.6 crore on upgrading the IT infrastructure facility. The company, formerly known as Dixon Utilities and Exports Pvt. Ltd, will join listed peers Centum Electronics Ltd, MIC Electronics Ltd and PG Electroplast Ltd.
To be sure, Dixon’s listing will make it the first electronics component contract manufacturer to opt for the capital markets route since PG Electroplast went public with a Rs 121 crore IPO in September 2011. Other unlisted companies that Dixon competes with include Jabil Circuit India Pvt. Ltd, SFO Technologies Pvt. Ltd, Elin Electronics Ltd, Rangsons Electronics Pvt. Ltd, and Amara Raja Electronics Ltd, the arm of $2.3-billion Amara Raja Batteries Ltd. The company has hired IDFC Bank, IIFL Holdings, Motilal Oswal Investment Advisors and Yes Securities as book-running lead managers for the IPO. Road developer BRNL is seeking a valuation of as much as Rs 1,721 crore ($268 million) through the issue. At the upper end of the price band, the IPO size works out to Rs 600.65 crore ($93.91 million). 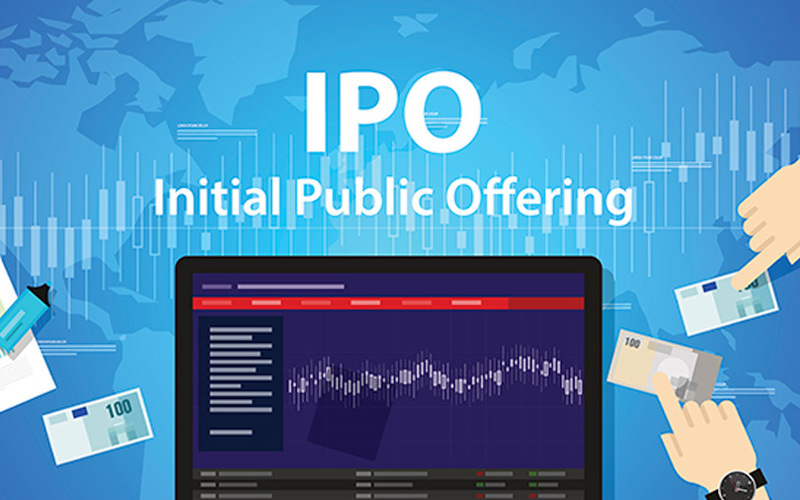 The IPO comprises a fresh issue of 29.3 million shares and will result in a 34.9% stake dilution on a post-issue basis. Following the IPO, the company aims to sponsor the Solapur Tollways Pvt. Ltd project with a Rs 51.47-crore infusion. The sponsor investment will be used by Solapur Tollways to carry out activities for its Solapur-Maharashtra/Karnataka border section of NH-9. In addition, BRNL aims to acquire subordinated debt—in the form of unsecured loans, warrants and optionally convertible debentures (OCDs), among other instruments—worth Rs 372.25 crore held by SREI Infrastructure. It will use the balance for general corporate purposes. Inga Capital Pvt. Ltd, Investec Capital Services (India) Pvt. Ltd and SREI Capital Markets Ltd are the financial advisers for the IPO. BRNL joins a host of infrastructure and construction firms, such as Shankara Building Projects Ltd, PSP Projects Ltd, Dilip Buildcon, GR Infraprojects Ltd and GVR Infra Projects Ltd, which are looking to tap the public market. Other infrastructure firms that have gone public in the past couple of years include Sadbhav Infrastructure Project Ltd, PNC Infratech Ltd and MEP Infrastructure Developers Ltd.